Continuing on from my slight digression, as you emerge from Monk’s Passage you find yourself in a north-south corridor. Moving north takes you out of Cell 3 and skirts the side of an extension of Cell 4. Various doors lead either outside or into the ground floor of the extension, so at this point we’re above ground. 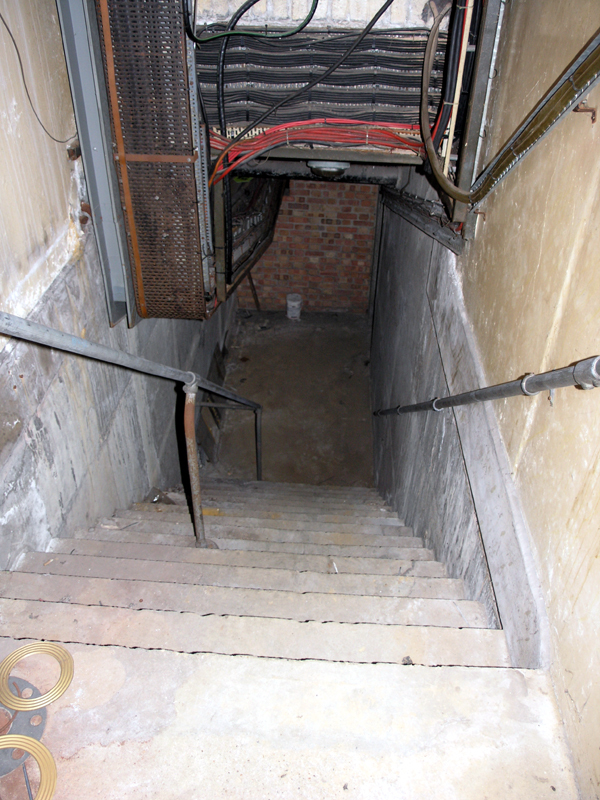 However, after going through a set of doors, you suddenly discover you’re at the top of this flight of steps which lead down and take you beneath ground level. Moving north, past the Cell 4 office building and beneath the east-west walkway.